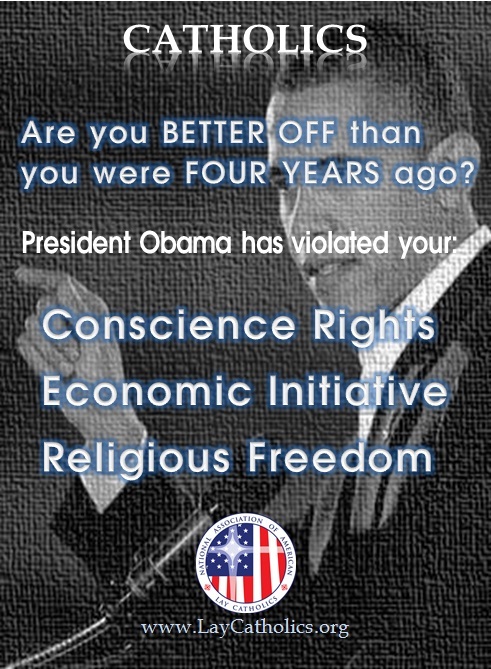 President Barack Obama dared to say he is committed to protecting religious liberty after crushing it with his HHS mandate that forces Catholic and other religious institutions to pay for contraception, abortion and sterilization. What Biblical example shows President Obama’s false witness? Why does President Obama’s false witness apply to Isaiah 5:20? We know President Obama is forcing us to pay for these mandated so-called services. We know his use of the word “protecting” (protecting something is “good”) is deliberate false witness. We know his actions against the Church and religious institutions are “destroying” (destroying something is “evil”) their religious freedom. Therefore, by his actions, we know he means destroying when saying protecting. That is in fact, calling evil… good. 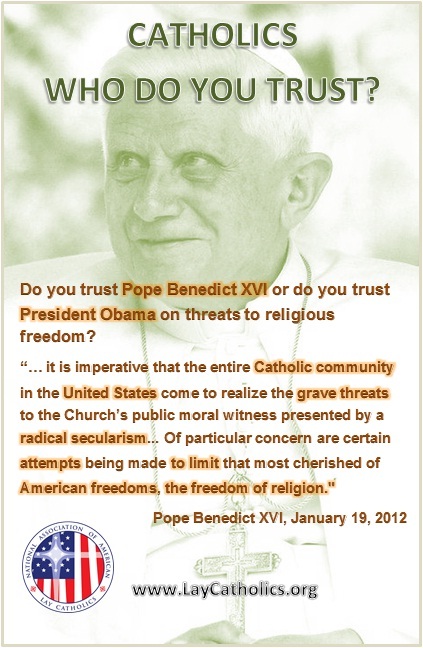 Now, what would a Pope other than Benedict XVI (click) say about men like President Obama?